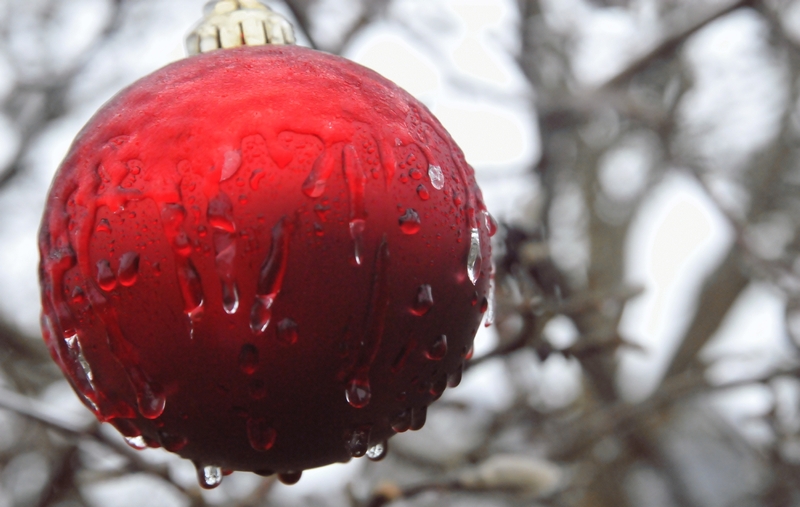 An ornament hung in a tree outside had gotten wet and then frozen. 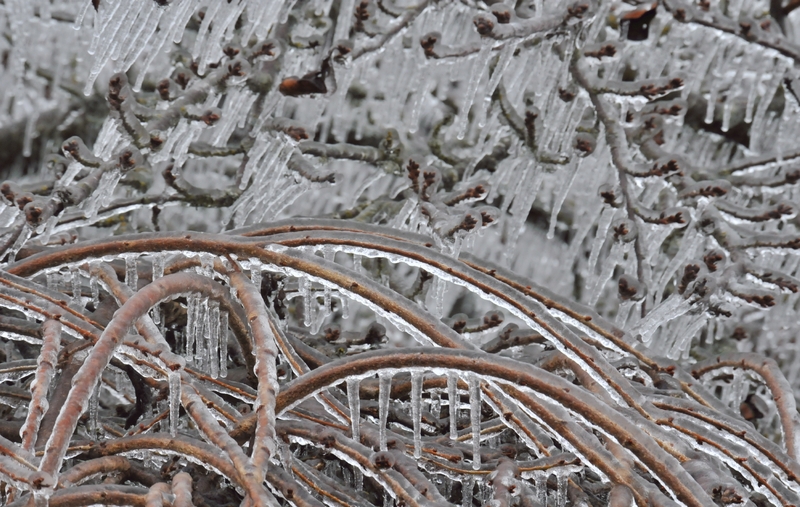 A thick wire used to support grapes in the summer had frozen in the fall and developed icicles. 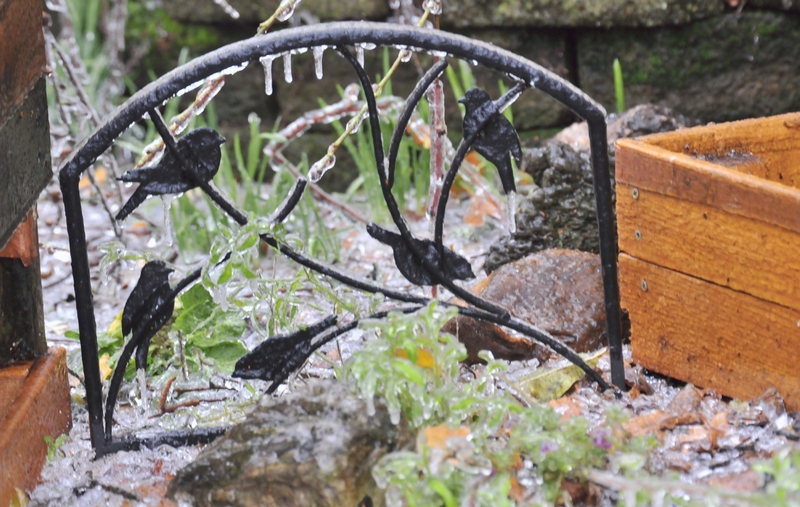 Bird art placed in the garden to prevent dogs from walking through, looked less cheerful when surrounded by ice. 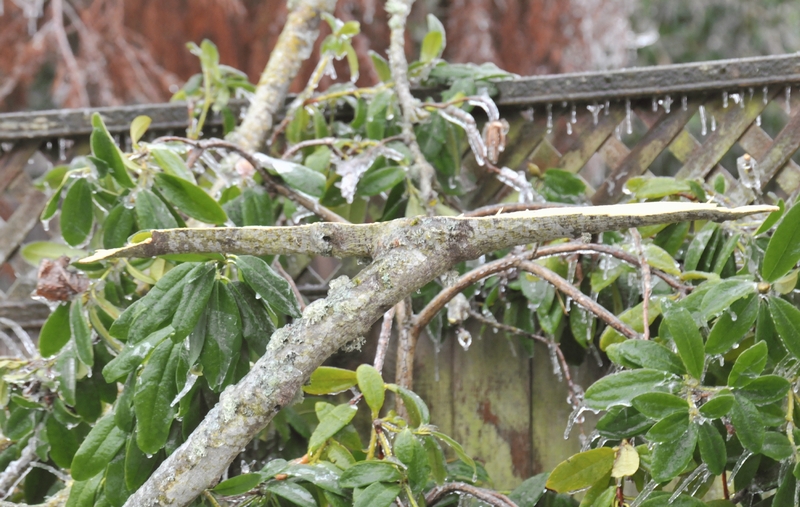 Rose bushes alongside the driveway had frozen in an ice storm and had become bent far over. 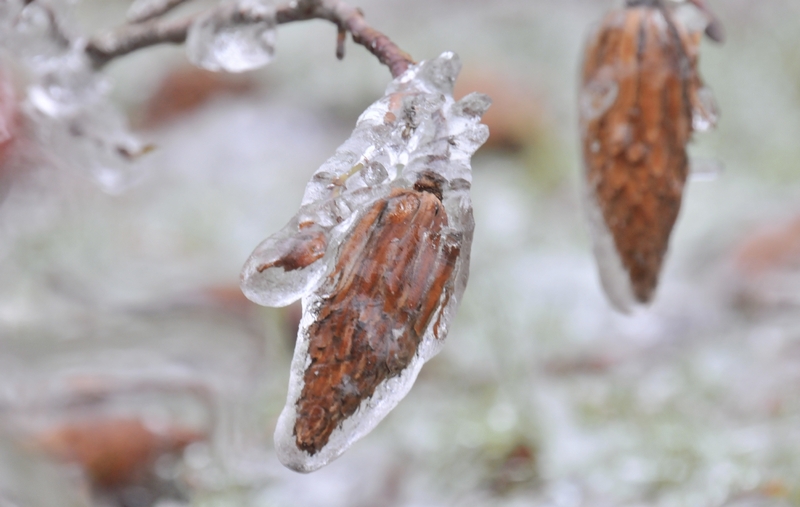 Seed on the tips of a tree limb had become frozen and encased in ice. 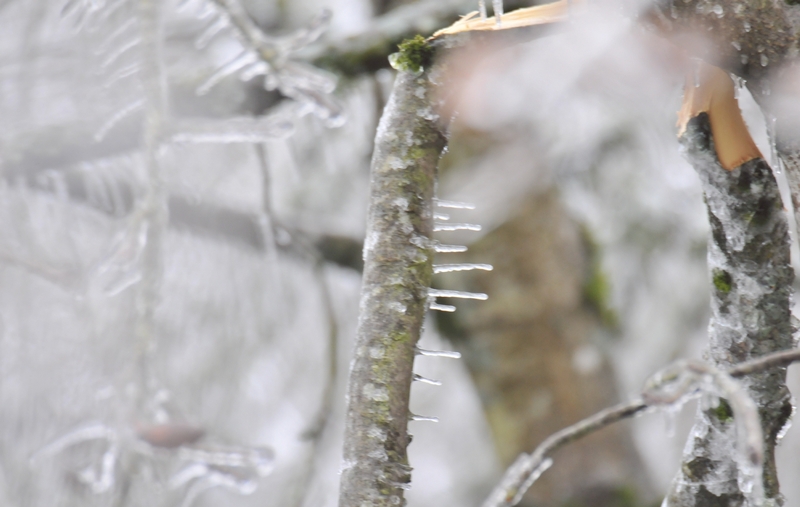 A limb on a tree had developed icicles. 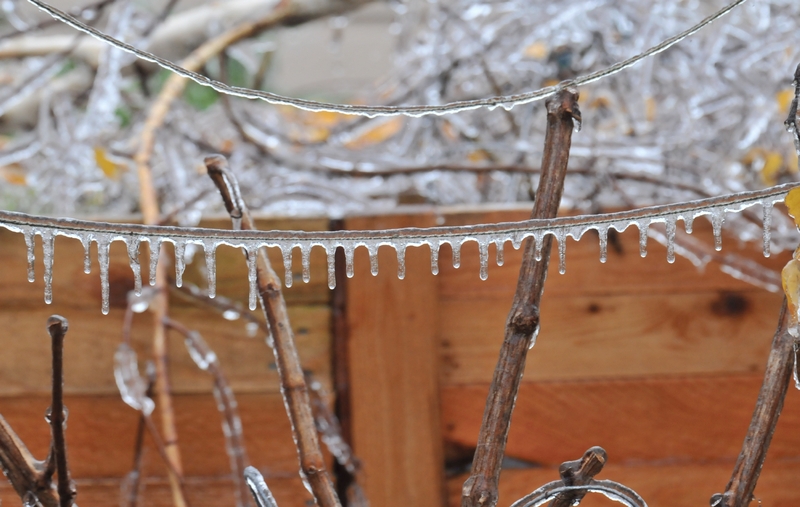 Then it broke and fell causing its icicles to hang sideways. Green plants growing alongside the fence were first frozen and then a large tree limb fell on them. 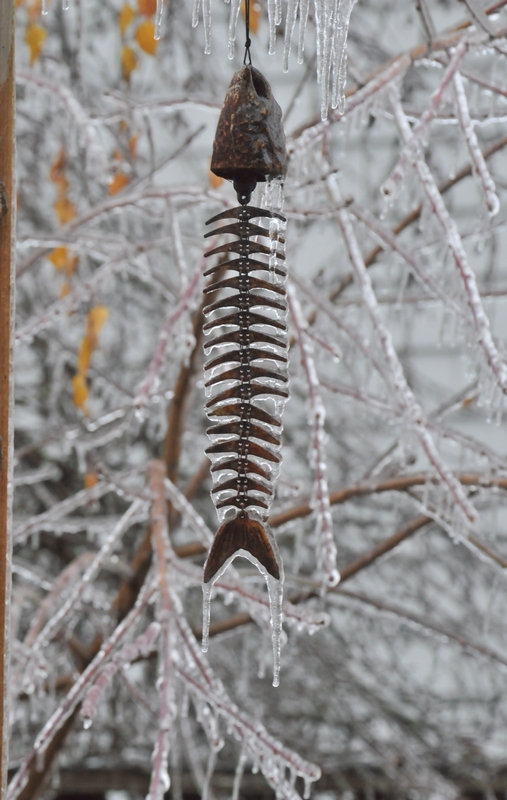 A fish skeleton, that functioned as a garden bell, became more sinister when encased in ice. 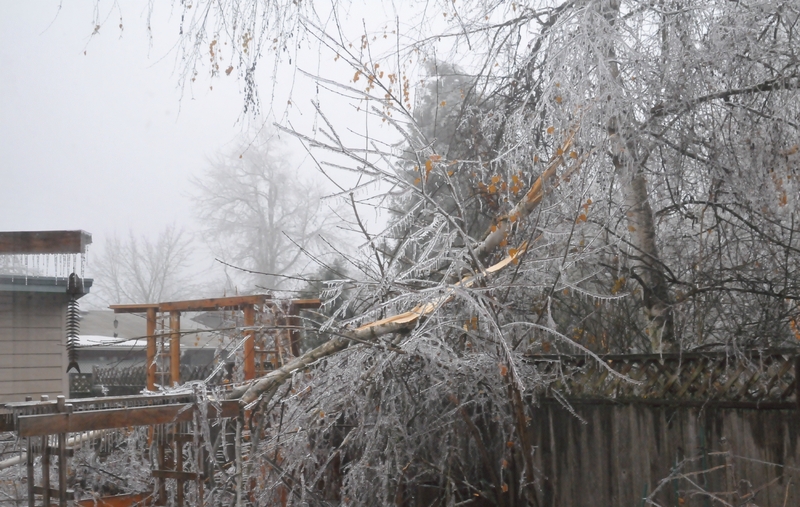 Due to a recent ice storm, two large tree limbs fell onto a raised garden bed.